I Found The Perfect Love Food and it’s Chocolate! I have been eating the perfect love food for the last two weeks and it is simply fantastic. Th perfect love food that I am referring to is the new Xolove chocolate love bites created by Well Beyond Chocolate, the makers of Beyond healthy chocolate products. I had the luxury of trying the heart shaped Xolove chocolate love bites at a recent event in Nashville and have been eating them twice a day ever since. Not only are they made with dark, decadent cold pressed chocolate, they also include L-arginine and maca. L-arginine research was validated by a 1998 Nobel Prize that was given to three american scientists of the potential benefits of nitric oxide (NO) and how L-arginine was vital to the production of nitric oxide in the body. Maca is considered an aphrodisiac for men and women. Dr. Gordon Pedersen sharesabout the perfect drug you should be using recreationally. Watch his youtube video below. Lynette Henk is a Beyond Healthy Chocolate sales consultant team leader in Southwest Florida. 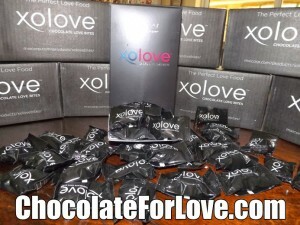 Contact Lynette at 941-216-5727 or email order your Xolove chocolate love bites at ChocolateForLove.com. The first orders will ship out the week of May 5th, 2014. You deserve the biochemistry benefits of love and romance. What is A High CRP Level And Why Does It Matter in Punta Gorda?